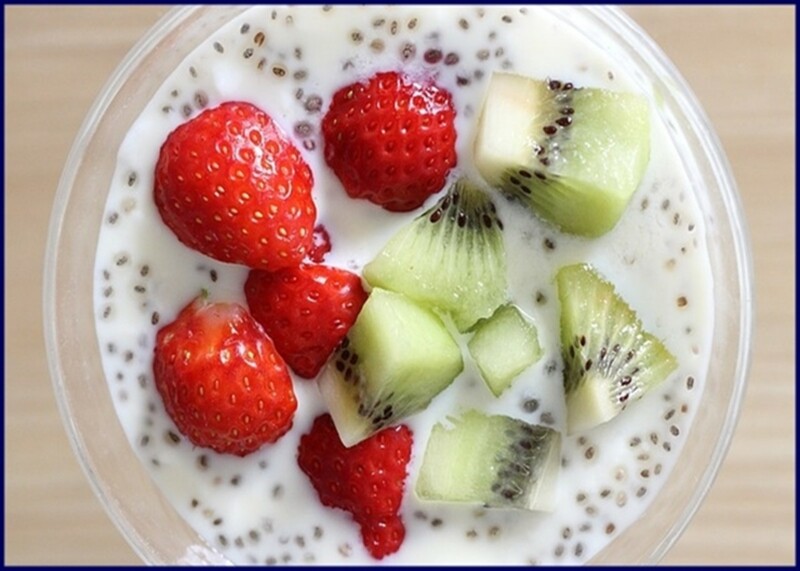 Chia seeds have become a hot topic in diet and weight loss circles. In some ways, this is a shame because the benefits they have for those wanting to shed unwanted pounds, seem to have overtaken the many other nutritional benefits of incorporating Chia seeds into your diet. 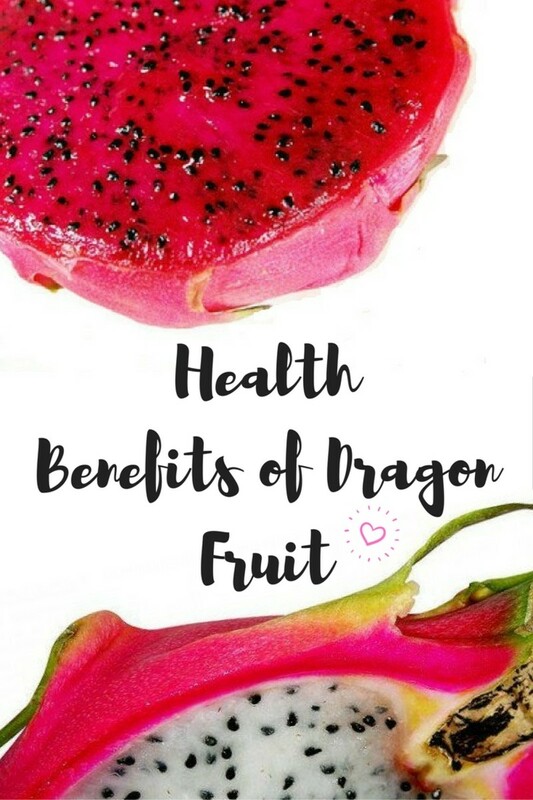 These benefits are huge - and for many nutritionists, these are even more important for overall health than the potential for helping us to lose weight! However, looking at these rather unappetizing looking seeds in their natural state, many people want to know how to eat Chia seeds. We are going to be taking a look at the best way to do this as well as showing you a few ways you could be incorporating these little nutritional powerhouses into your daily routine! There are many ready-made Chia products on the market. These mostly comprise snack bars, many of which are gluten free, vegan or vegetarian. Some of the snacks are also Kosher and all are prepared with a wide range of dietary choices and requirements in mind. There are also some absolutely delicious Chia drinks. These come in great tasting flavors like honeysuckle pear, lemon blueberry, mango tangerine and strawberry citrus. All are very low in calories. It's Better To Buy The Raw, Organic Seeds! The seeds are also available raw as certified organic and non-GMO seeds. This not only makes them completely natural, but also makes a much less expensive and a more versatile way to eat them, especially if you are using them to help you lose weight. They are a popular choice because they retain their nutrient values better than other choices such as flax seeds. They do not need to be ground to enable the body to extract the full nutritional benefit from them. Another important consideration for many of us is that they are almost flavorless which enables them to be added to sweet or savory dishes and avoids any objections on the grounds of taste! I don't buy Chia seeds very often but when I do, I make sure I get a raw, organic, pesticide-free product. A good example of what to look for, is the range from Healthworks. Healthworks chia seeds tick all the boxes for me and a bonus is that they come in a variety of sizes and are very economical. In the video (below), Kathy Patalsky demonstrates how to make a very simple Chia seed pudding using soy milk. In fact, you could make this using any milk you would normally enjoy drinking. Some flavored milks work well, but for a completely natural, nutritious pudding that you can enjoy as a breakfast, between meal snack or healthy dessert, here are a few variations. Use A Sweetener: Sweeten your pudding with stevia, honey or by adding fresh fruits. Grind them like flax seeds in your food processor and add them to smoothies, shakes and as an egg substitute in Vegan recipes. Sprinkle the whole seeds onto your breakfast cereal, onto yogurt or into dips. Boost Your Energy Levels: All the nutrients in Chia seeds can boost your health and your energy levels. Having more energy will help you in you if you are dieting because you will feel more inclined to take exercise. The more exercise you take, the more your energy levels are boosted and your base or resting metabolic rate will be increased too, helping you to burn more calories even when you are not exercising! 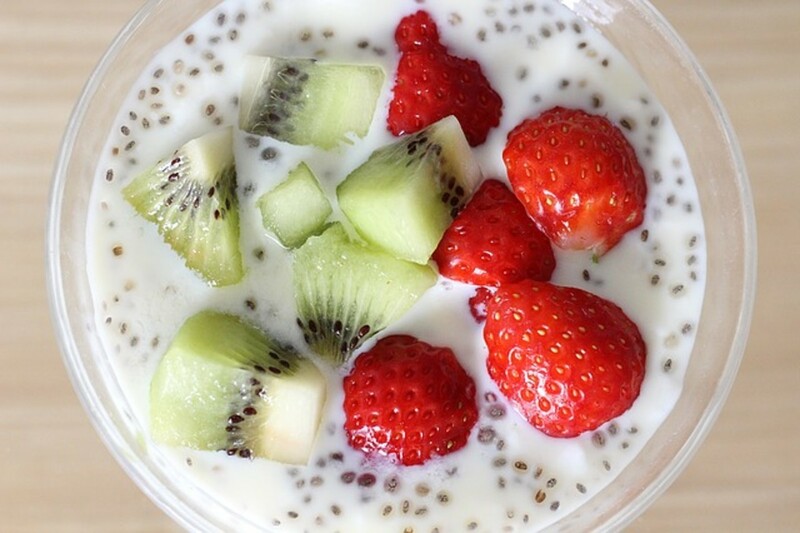 Avoid Those Cravings: Chia will also help you stay feeling fuller between meals. 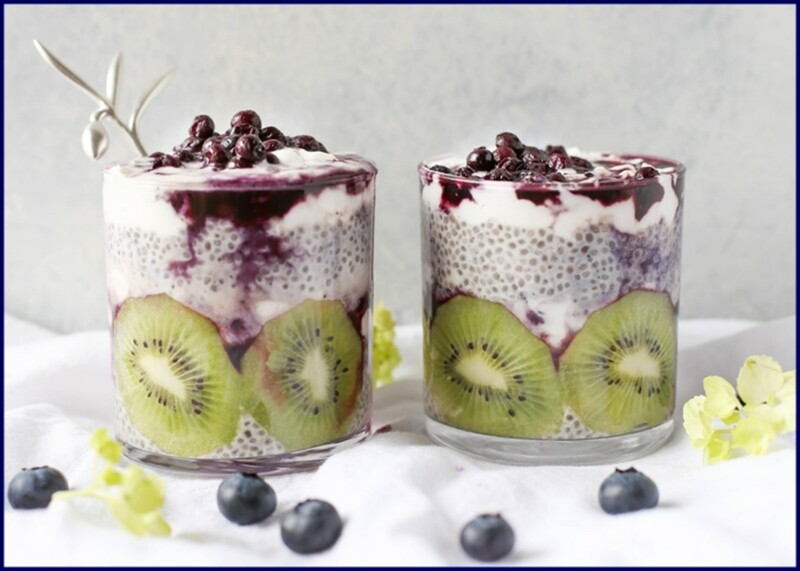 Not only because of the higher fiber content but also because mixing it with liquid as in the Chia Pudding recipe above, will produce a gel which slows down the absorption of carbohydrates in your digestive system. This not only keeps you feeling full, but it helps to avoid those cravings for sweet, sugary snacks, by evening out your blood sugar levels too. One tablespoon of Seeds will provide around 70 calories making it a good supplement choice for dieters! For sportsmen and women Chia seeds have become a popular choice for maintaining hydration and improving endurance. 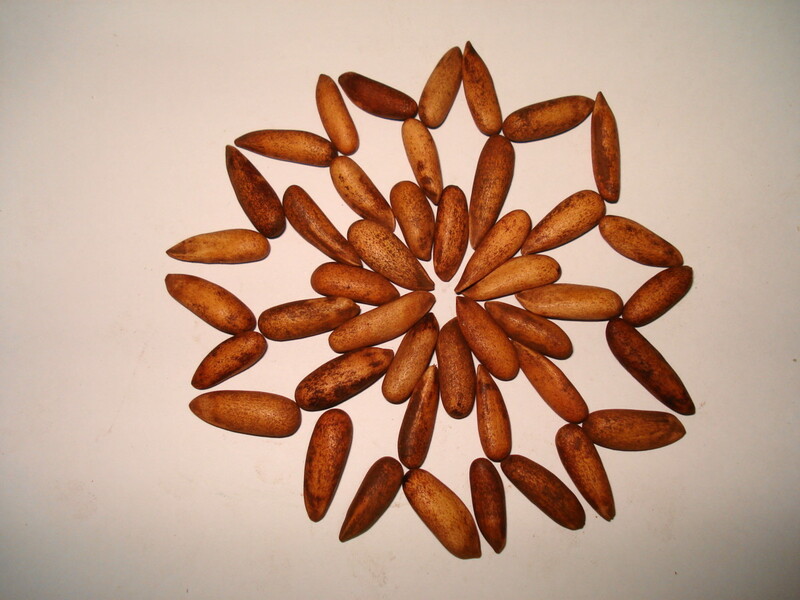 Soaked seeds will absorb up to ten times their weight of water. They form a gel which slows down the digestive process that converts the carbohydrate content into simple sugars for energy. Get six grams of fiber from just one tablespoon of seeds! The recommended one ounce (around thirty grams) daily will provide more than 50% of the recommended daily intake of fiber! In short, Yes! 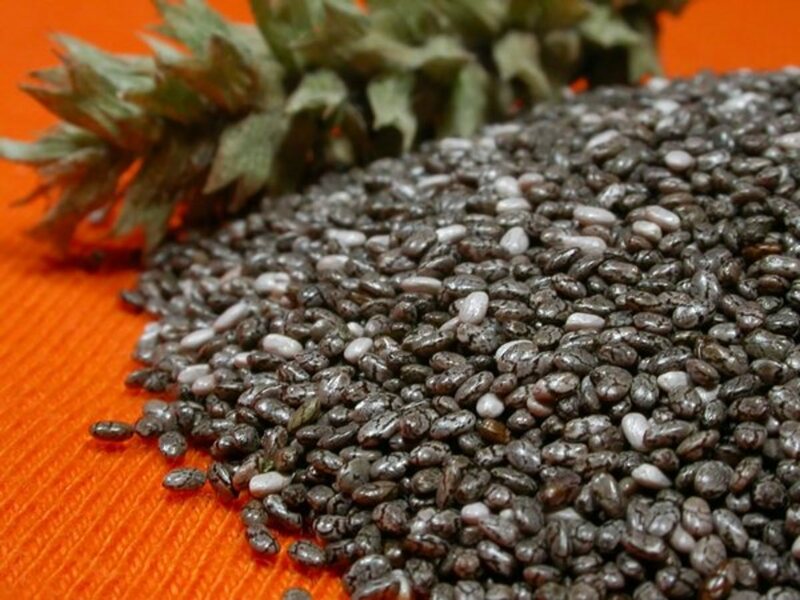 Like pumpkin seeds and walnut seeds, Chia seeds contain a rich source of Omega-3 fatty acids. For vegetarians and vegans this is good news as non vegetarians can get good supplies of these fatty acids from fish oil. For dieters using Chia seeds to lose weight, the high fiber content is of particular significance. Just one tablespoon of seeds will provide about six grams of fiber. The fiber helps you feel full after eating and keeps you feeling fuller for a longer period. This is obviously helpful in dieting as it gives the will power a bit of a boost, helping you to stick to that lower calorie diet and resist the between meals snacking that is the downfall for most of us. Higher levels of fiber in our diet have significant health benefits for our digestive systems too. It will protect us in the short term from constipation with hard stools that can lead to hemorrhoids (piles) which can be extremely painful and embarrassing. In the long term, it can protect us from much more serious conditions such as colon cancer. However, because of the high fiber content, medical advice is that you should not eat more than one ounce of these seeds per day. Increasing your intake above this level could result in digestive upset with bloating and gas so it is a fine balance between optimum benefit and going over the top and getting a tummy upset! The tables shown below give you a breakdown of the nutritional value of 100 grams of the seeds. If you have used flax or hemp seeds before as a source of Omega 3 fatty acids, you will know that they need refrigeration to avoid them going rancid. Chia Seeds do not need refrigeration to remain fresh and retain their Omega 3 and Omega 6 benefits because they are packed with antioxidants chlorogenic and caffeic acid and flavonols, kaempferol, quercetin and myricetin which stop these essential fatty acids from oxidizing, thus locking-in those health benefits for you! For Osteoporosis sufferers like myself, Chia seeds are good news as they not only contain much more calcium than milk (weight for weight) than cow's milk but the form of calcium they contain is more easily absorbed by the body. Take a look at the table above, you will see that the calcium content is 500-640 mg/100g whereas milk contains around 120 mg/100g! Don't Just Take My Word on The Health Benefits of Chia Seeds! 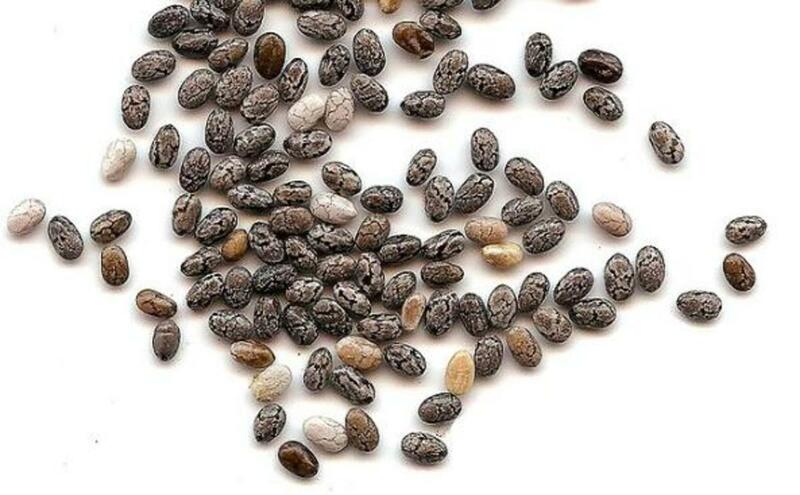 These tiny ancient seeds, favored by the Aztecs and Mayans (the word means "strength" in their language), provide major nutrients with minimal calories. Reader's Digest is a trusted source of information both in print and online. So, you can see from the nutritional tables above that there is a lot more to Chia Seeds than the 'miraculous' weight loss hype you might have read about elsewhere. 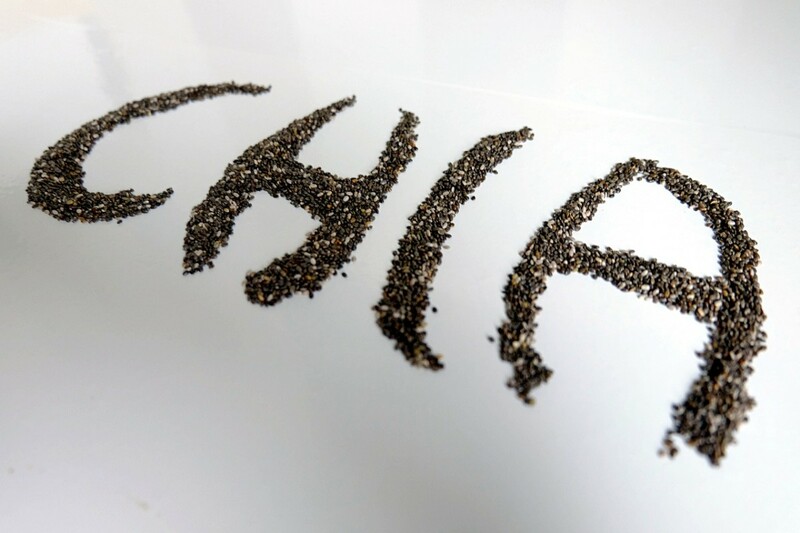 There are just so many great reasons to add Chia to your daily diet. However, there are many benefits for dieters. There is no doubt that Chia can help you stick to your lower calorie diet by helping you to feel fuller for longer and by ironing out those spikes in blood sugar levels. In addition, because they are so packed with antioxidants, protein, vitamins and minerals, they can help to ensure that you are not missing out on vital nutrients whilst on a reduced calorie diet. Hi Kalaiyarasi, thank you for your inquiry about Chia Seeds. Yes, you could add them to milk for morning breakfast - up to four level teaspoons to eight fluid ounces of milk. May i know, is Chia seeds with milk for diet control for morning breakfast good ? That's a great testimonial for the weight loss benefits of chia seeds Becky - congratulations on losing those extra pounds! Thank you @Dreamhowl - recent research in local health food stores shows a wide variation in price. The white chia seeds seem to be much more expensive but the science shows they only have marginally more protein - whereas the darker ones have more omega 3. I've never heard of these until now! Anything that boosts health and energy is a plus to me. I'll have to go and look foir them next time I am shopping. Voted up! Thanks for the link @L.L., I will be trying this one! Thank you @L.L. Woodard, you made a very important point. Yes on any weight loss program it is important to keep your fluid levels up and avoid getting dehydrated. However, it is not necessary to drink extra fluid over and above what you normally do if you use the Chia seeds soaked in water to form a gel. This is because they will have already absorbed all the liquid they are going to. On the other hand, if you eat them sprinkled onto other foods without soaking them, you will need to add extra water as they soak up 9 - 10 times their weight and you need to compensate for this. I've been meaning to research chia seeds to learn why they are so popular, but having read this hub, I have the answers I was seeking. I am assuming that a good fluid intake is important when incorporating chia seeds into your diet, so the increased fluid intake would also aid in reducing appetite. Did you research mention anything specifically about fluid intake with the chia seeds? Thanks for sharing that Jenna, I love rice pudding but I bet the chia seeds version has a lot fewer calories! I just bought some chia seeds and the bag had a recipe for chia pudding with coconut milk and honey. It tastes like regular rice pudding. Super yummy and super healthy! You are right, allpurposeguru! I should probably have added something about the chia pets craze! I am planning on documenting my experience adding chia to my diet for weight loss and incorporating these results in a new hub - so by that time, I should have a few more recipes to share. thank you @the girls, it would be great to know how you get on adding chia seeds to your diet - if you get a minute, come back and let us know! And to think we all first heard of them for "Chia pets"! I just bought a bag on a whim not long ago. So far, I've only tossed a little in yogurt or cottage cheese or the like. They add a nice crunch. I'll have to try out some of these other ideas. Useful. Interesting. Voted up. Interesting and very informative article. Your ways to add Chia seeds sounds easy, I will try it at home.